Some of Australia’s lowest-paid workers are facing a penalty rate cut – with the full force of the cuts still to come. The next 10 percentage point cut began from Sunday July 1 with another cut still to come in 12 months. On July 1, hospitality workers lost approximately $16 for working their Sunday shift, compared to doing the same work as the previous weekend. This is the next step towards hospitality workers losing $40 a week or over $2,000 a year once the full cuts are implemented. There is no equity in a system that enforces a pay cut for some of Australia’s lowest-paid workers when inequality is at all-time highs. This is a fundamental attack on working people. The cut to a worker’s Sunday penalty rate largely negates the recent small rise in the minimum wage of 64 cents an hour. The net effect is penalty rate cuts make the increase in the minimum wage meaningless – effectively trapping low-paid workers in a wage crisis shown by historically low levels of wage growth. Jo-anne Schofield, national secretary of United Voice, the hospitality union says, “The system is broken for Australian workers about to be hit financially with another penalty rate cut. This next penalty rate transition wipes out the bulk of the minimum wage increase. This is an attack on working people. “These changes to penalty rates represent a pay cut that weekend workers can’t afford and don’t deserve. “When our industrial relations laws are used by employers to cut the pay of low paid workers and when our government refuses to utter a word in support of workers, the system is broken. The system is broken if hardworking hospitality workers can have their pay cut for doing the same shift as just the weekend before. “Malcolm Turnbull could stop this inequity now, if he has the will. The Turnbull government’s inaction has shown that protecting the living standards of working Australians is simply not a priority for them. The day after the harsh 10 percentage point cut came in, Clubs Australia were back in the Fair Work Commission on Monday July 2, continuing to attack the penalty rates of club workers. 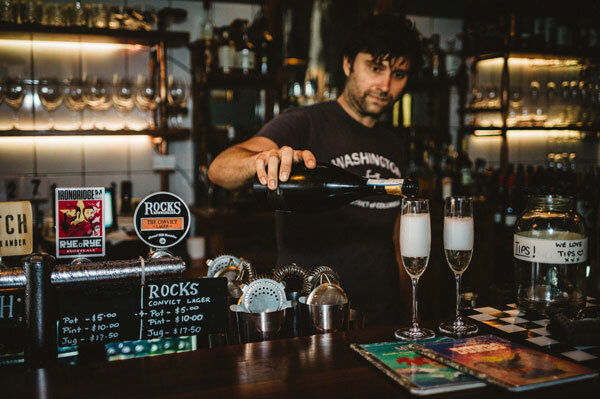 The wealthy clubs sector will be aggressively pursuing their attempts to merge into the Hospitality Award so as to reap the benefit of the penalty rates cuts to workers under that Award. United Voice slammed Clubs Australia’s continued attempts to cut the penalty rates of club workers. Workers’ voices in the system are not being heard because the system is stacked against them. The penalty rate cuts are a clear sign that the laws in this country are out of step with community values, and those laws will need to change. United Voice is calling for the industrial relations system to move to an industry-based collective bargaining system. Only six percent of workers in the hospitality sector have been able to access bargaining on an enterprise basis. It simply does not work. Workers need to be able to have a say about their pay and conditions. So, workers in industries like hospitality can bargain together, jointly and collectively with their employers to secure a fair deal. United Voice will keep challenging the system if it fails to restore these central principles. United Voice joined the ACTU in welcoming the recent increase to the minimum wage. However, the Fair Work Commission acknowledged that the raise will not lift all award-reliant employees out of poverty. Nor did the decision address the gross inequity of penalty rate cuts, which will see hospitality workers lose out on any gain. The decision highlights the need for a bigger, systemic fix for Australia’s low-paid workers. Unions have also expressed great concern that the award wage system that is supposed to be a “safety net” is now the source of wages and conditions for nearly a quarter (23.9 percent) of the Australian workforce – an alarming rise from the 15 percent of workers covered by the minimum wage and awards in 2010. This, along with the continued collapse of the enterprise bargaining system, is clear evidence of the need for a stronger industry bargaining system for workers.